Thirsty kids. SoftFlex silicone scout. Made from super strong and crystal clear Tritan. No spill when cover is closed. BPA free.No1 Cup Brand Worldwide* *Based on Industry Data Sales. Dentist Approved** **Approved by paediatric dentist Dr Grace Yum. My SoftFlex? 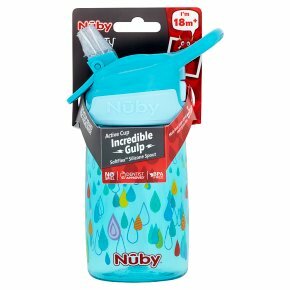 spout makes it super easy to drink and it's kind to teeth too. I'm built to be extra strong with crystal clear Tritan? from Eastman, so I'll survive any adventure and any tantrum. Bring it on!